Non-Narcotic Pain Pharmacology - Piedmont Physical Medicine & Rehabilitation, P.A. Despite the long-standing availability of pain medication, confusion still exists as to which medication is best for the treatment of neuro-musculoskeletal pain. This is due in large part to a relative lack of understanding of pain receptor pharmacology and the number of agents available. This article will review various non-opiate medications that can be used to treat pain. Several neuropathic disorders share similar pain perception pathways, including diabetic peripheral neuropathy, post herpetic neuralgia, Reflex Sympathetic Dystrophy (Complex Regional Pain Syndrome), post surgical/traumatic neuropathy, and toxic and idiopathic neuropathies. Medications directed toward these pathways can also provide relief for neck and low back pain, acute and chronic ligamentous strain, arthritis, fibromyalgia, and other muscular aches and pains. In the majority of cases, pain signals are first generated from peripheral nerve fibers and then transmitted to the central nervous system. Once in the central nervous system, the pain signal is modulated so that it is ignored, moderated or enhanced. In order to effectively treat pain, both peripheral and central receptors may have to be addressed. There is also ample evidence, however, that by treating peripheral receptors alone, central receptors are influenced. The key receptor in the central nervous system for pain modulation is NMDA. Glutamate and Glycine are important NMDA stimulants. 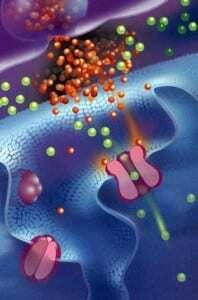 They work by opening voltage-dependant channels at the cell membrane level. This means that eating foods that are spiced with MSG or that contain glycerine increases the pain experience. When pain-modulating receptors are made more excitable, the pain experience is upgraded. Chemical mediators such as Substance P, Alpha agonists and antagonists, GABA agonists, and free radicals can affect these modulating receptors. Agonists are things that make something stronger and antagonists are things that make something weaker. Gabitril is an anti-seizure medication that enhances GABA and therefore reduces the pain experience. Ultimately, all receptors are functionally dependant on the status of their voltage-dependant channels, or gates. These gates are typically specific for minerals such as calcium, magnesium, potassium, or sodium. Many people lack proper mineral balance and inadvertently affect ion gate function to their disadvantage as a result of bad eating habits. 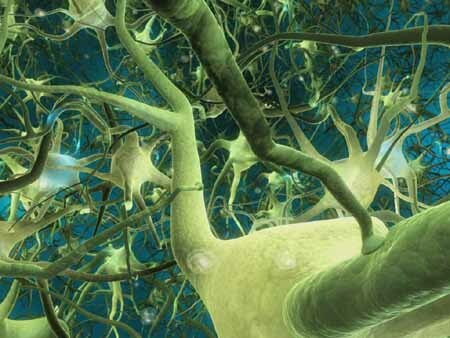 Enhancing sodium and reducing calcium channel activity have been found to have important down-regulatory effects on the NMDA receptor. Procardia is an anti-hypertensive that prevents calcium dependent voltage gate opening. Mexitil is a cardiac anti-arrhythmic engineered to stabilize sodium channels. Both have been used successfully to treat painful conditions. Tegretol, Depakote, Dilantin and Zonegran are anti-seizure drugs that also reduce pain by producing a stabilizing effect on sodium channel opening. 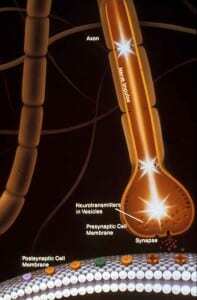 Neurontin is a seizure medication that is commonly used as a pain reliever. Lyrica is a second-generation Neurontin made specifically to treat neuropathic pain. Lidoderm and Emla patches are placed on the skin. 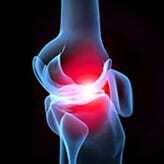 They reduce pain via their sodium channel blocking activity. Capsaicin cream is a topical that inhibits the release of substance P, a painful mediator also found in skin. Since NMDA receptors have been found in peripheral nerve and skin, Ketamine cream, which down regulates NMDA, is effective in relieving pain. There are also non-NMDA receptors. An important one is called AMPA. Aspartame (which contains aspartate) is an AMPA receptor stimulant, so avoiding this food supplement can reduce pain. Most would not choose this sweetener anyway if they knew it was metabolized into formaldehyde once it passed through the liver. Alpha agonists block the release of norepinephrine from sympathetic nerve endings. Norepinephrine can both reduce blood flow and increase metabolic demand of the tissues it affects, so blocking the release of it can lead to pain reduction. Guanethidine, which has considerable anesthetic activity, works by depressing postganglionic adrenergic fibers (it inhibits sympathetic activation). Catapres, an anti-hypertensive agent that has agonist effects on the alpha-receptors in both the central and peripheral nervous system, has been used successfully to relieve pain. Zanaflex is muscle relaxer. It is an alpha agonist that reduces reflex activity within the spinal cord, lowering the release of excitatory amino acids. This in turn results in fewer stimuli that upgrade NMDA activity. Most muscle relaxers inhibit central nervous system activity. Examples include Skelaxin and Baclofen. Soma is a muscle relaxer with a dual effect; when it is metabolized in the liver it is degraded into a molecule that has direct opiate activity with little or no addicting properties. Ultram is an opiod receptor agonist engineered to have minimal addicting qualities and has therefore been referred to a non-addicting mu receptor agonist that can directly reduce pain. Flexeril is a muscle relaxer that has anti-depressant-like effects as its mechanism of action in pain reduction. Elavil was one of the first anti-depressants found to have direct pain-relieving effects. 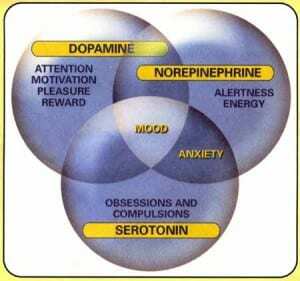 It works through its action on norepinephrine. Pamelor, Trazadone, and Deseryl work in a similar fashion. Newer anti-depressants such as Effexor and Cymbalta have been specifically designed to take advantage of the pain relief afforded by blocking norepinephrine reuptake. While the selective seratonin re-uptake inhibitors (SSRI’s) such as Prozac, Zoloft, Lexapro, and Paxil have much less of an effect on norepinephrine, they can reduce depression and anxiety associated with pain. Imitrex, Maxalt, Axert, and Relpax are a special group of seratonin medications that work on blood vessel tone in the brain. Collectively these medications are referred to as Tryptans and they have a specific indication for migraine headache. Fioricet, Esgic, and Bupap contain butalbital in combination with acetaminophen. They provide greater pain relief then acetaminophen would alone due to the central calming effects of butalbital. Many major tranquilizers such as Mellaril, Zyprexa and Seroquel have been found to reduce pain. Their effect may be due muscle relaxation resulting from anxiety reduction or improved sleep. Symbyax is a medication that has tried to combine the best effects of Zyprexa and Prozac. All of the drugs in this class may reduce pain by through improved thinking, which allows patients to differentiate symptoms that can be ignored from those that are more deserving of attention. Promoting wakefulness during the day hours with a medication such as Provigil, and proper sleep during the evening hours with hypnotics such as Ambien, Sonata or Restoril, is very important in controlling pain. When sleep cannot be controlled with one of the hypnotics, and a major tranquilizer is too strong, an intermediate anxielytic such as Ativan, Tranxene, or Klonopin can be very useful in pain reduction. Triavil is an older mediation that combines the best of Ativan and Elavil. It should go without saying that co-morbid disease management facilitates healing and nerve membrane stability. When infection is present, appropriate use of certain antibiotics can provide dramatic relief. This is especially true for those who have a predisposition to rheumatic conditions. Benicar, a hypertension medication, can reduce infection associated pain and inflammation. It is referred to as an Angiotensin Receptor Blocker (ARB) and is used primarily for control of hypertension. After Benicar was released, angiotensin, which is made in the kidney, has been found to facilitate hidden infection, which may be the cause for many other diseases. Antiviral agents such as Amantidine and Zovirax can reduce immune response related inflammation and associated neuropathic pain as well. Because infection, heart attack, stroke, and inflammation are frequently thought of as having direct interactions upon each other, medications that address these problems can provide the backdrop needed to promote pain reduction. For example Plavix and Pletal, anti-platelet agents used to prevent stroke and heart attack, are also useful in treating claudication (vascular leg pain). The new COX-2 Non-Steroidal Anti-Inflammatory Drugs (NSAIDS), which work as inhibitors of prostaglandin (a primary up-regulator of inflammation), and are compatible with the anti-platelet agents, have both peripheral and central pain relieving effects. The central nervous system pain relieving effects of Celebrex has been thoroughly described. In numerous clinical studies they have demonstrated a 40 percent reduction in opiate use when used for post-surgical pain. Immune modulators such as Enbrel reduce inflammation associated with tissue necrosis factor (TNF) activation. Pain relief occurs as a result. 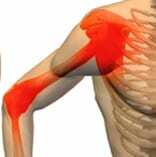 Aredia, used for weak bones, also modulates TNF as a side effect. While this is only a brief review of non-narcotic pain relieving medications, it should be clear that numerous agents are used to reduce the pain experience. As our understanding of pain increases and new agents are brought to market, we should expect to see more use of non-narcotic treatment options that are receptor, voltage gate, or co-morbid disease driven.